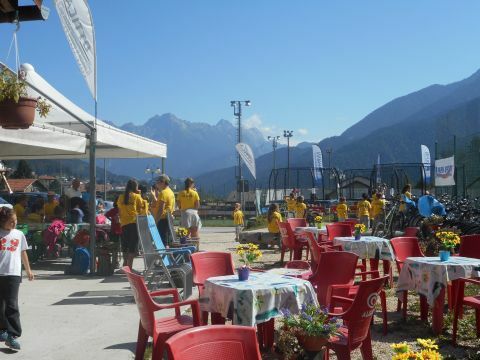 Have you ever thought about the Marmarole Tennis Playground? And in Calalzo di Cadore, when you want to relax with your family or friends, is there a place that's right for you? In a quiet area but easily accessible by car and with ample parking, you will find everything you need for a relaxing and companion day. 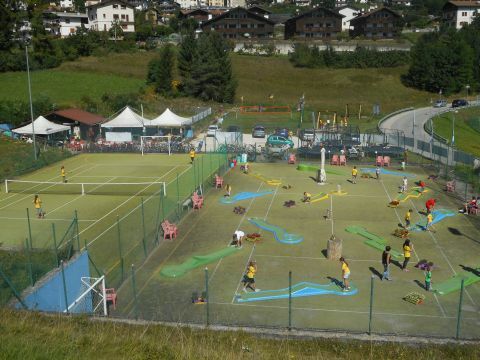 We do not only play tennis but also find a soccer field, green tennis and green volleyball. And if these sports are too tiring, then you can go to the minigolf. Still too much? So why not challenge yourself to ping pong or table football? But if you really want to relax, then come and visit us at our solarium. We also have a reserved area for those who want to prepare a tasty grill. Here is space for you and for your children. We have dedicated three elastic rugs to jumps and twists safely. There is also a 30 meter cable car! But I will tell you more, we are at the starting point of the cycle track "The Long Way of the Dolomites" and here you can find the bicycle hire Papin Sport of San Candido There are also pedal bikes assisitita and there is always assistance along the bicycle curated by Papin Sport. 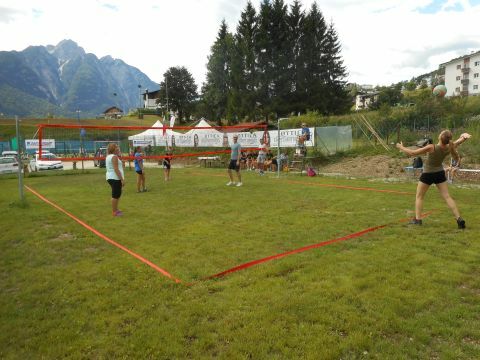 You can find us at Calalzo di Cadore in Via E. Toffoli, 400 metres from the bus and train station. Open every day from 8.00 to 22.00 until 31 October.